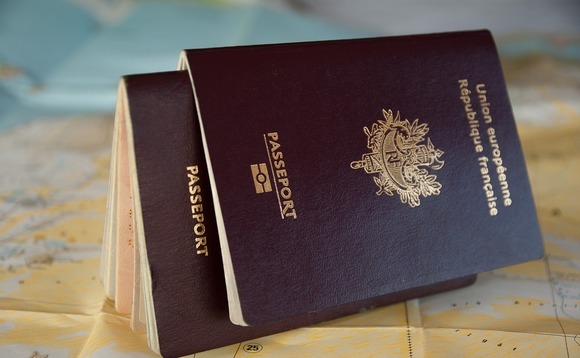 The number of South Africans seeking a second passport has soared, according to figures from residence and citizenship planning firm, Henley & Partners. The firm has seen a 125% increase in the number of enquiries received in the second half of 2018 compared to the same period last year. This was underpinned by a record number of enquiries received in October 2018 - equating to a 364% increase in growth year-on-year. South African high net worth clients who seek our professional services are not always looking to relocate, but rather invest in a Plan B for future proofing"
"South African high net worth clients who seek our professional services are not always looking to relocate, but rather invest in a Plan B for future proofing," Henley & Partners told local news outlet BusinessTech. It added that these citizens typically recognise that dual citizenship or residency provides more benefits and privileges for them and their families including ease of travel, security for the future and expansion of business and banking. "There is a very high demand for our European residency programs like Portugal and Greece and citizenship programs from the Caribbean e.g Malta and Cyprus," it said. "Most of our clients are usually male even though we have seen growth in the number of female individuals also applying for these programs in the last couple of years. "Our programs are quite popular amongst parents wanting to give their children the best education in the world and also to ease of travel requirements seeing that the South African passport has access to only 102 destinations and this number excludes the world biggest economies such as the US, UK, Europe Schengen area, Canada to mention just a few." South Africa has recently confirmed that it is forging ahead with its plans to introduce an ‘expat tax' amendment to the South African Income Tax Act by March 2020.